Finally, conductor Nic Raine and producers James Fitzpatrick and Luc Van de Ven won the Best Archival Release of an Existing Score – Re-Release or Re-Recording award for their outstanding re-recording of one of Jerry Goldsmith’s once-lost 1980s action scores, THE SALAMANDER. 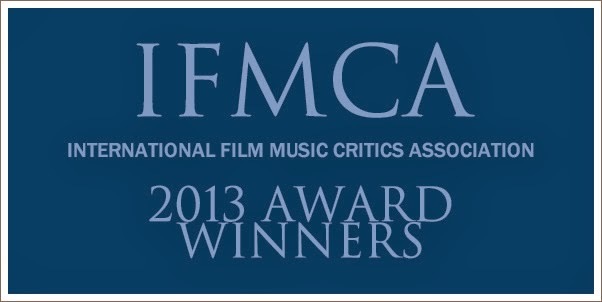 The IFMCA also chose to present a special award to Welsh composer and orchestrator LEIGH PHILLIPS, who worked with the label on The Salamander. With the original recordings lost and virtually no sheet music to work with, Phillips faithfully re-created the score by ear, watching the film over and over again in order to fully understand Goldsmith’s music. As a result of his diligence, technique and dedication – as well as the subsequent performance by the City of Prague Philharmonic Orchestra - this long-desired work has finally been made available to collectors.